Dr. Kulvinder Bajwa is an Associate Professor at McGovern Medical School at The University of Texas Health Science Center at Houston (UTHealth). Dr. Bajwa believes that patients need an advocate to guide them to the proper and reliable sources of information that make them well-informed and prepared to achieve the best results. Recognizing that surgery is a major event in a patient’s life and not a daily hospital routine, he helps prepare patients for this experience and gives them realistic expectations during their recovery. He is a Colonel and Command Surgeon for the U.S. Army Reserve’s 75th Training Command. He has received numerous military awards, including 4 Army Commendation Medals, a Meritorious Service Medal, and the Combat Action Badge. 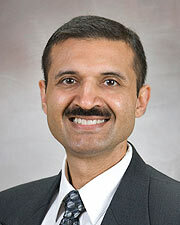 A resident of Sugar Land, Dr. Bajwa is married and the father of two daughters. His favorite activities outside of his practice are running (finishing his first half Marathon in 2014), skiing, and traveling.